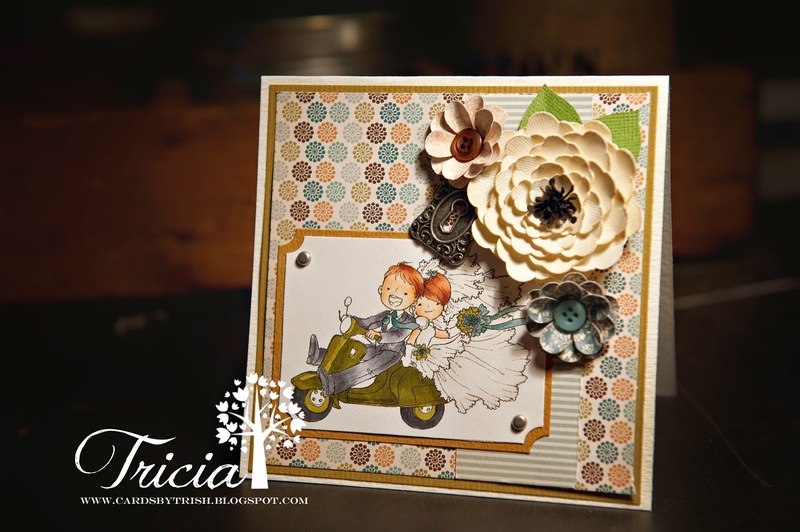 CARDS BY TRISH: Scootin' Away! Hello again! It's another Friday at Sister Act Card Challenge and time to link up your anything goes cards! This week we are being sponsored by MilkCoffee - I used their Couple on Scooter. Make sure to check out their shop - full of super cute digis!